Daina Gudzinevičiūtė, the Olympic shooting champion, is one of the Lithuanian sports legends and there is no doubt in it. 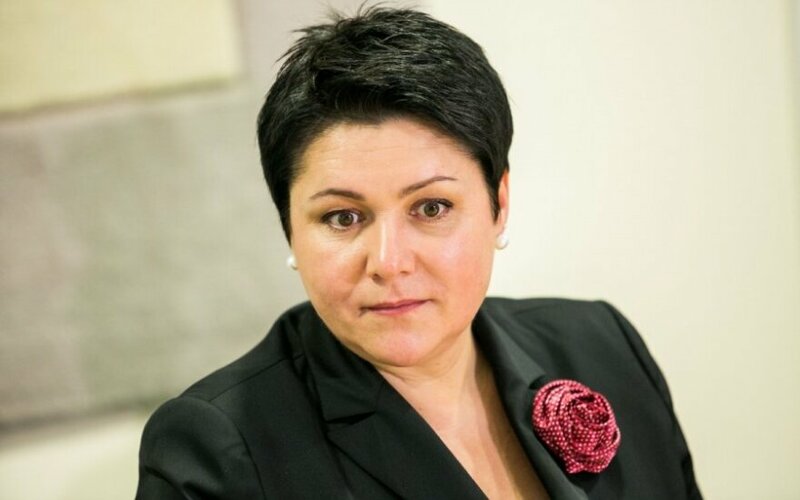 Today, at age of 50, she is the president of the Lithuanian National Olympic Committee, having beaten another Lithuanian sports legend, Virgilius Alekna, for the position. During her 34-year career, she won eight medals in the main tournaments of the world. Among them is the Olympic Gold from Sydney 2000 and two gold medals in European Championships. Gudzinevičiūtė believes that the future for Lithuanian athletes is going to be better and hopes that Lithuania will bring back home more medals than from London 2012. Despite busy schedule, she found time to speak to the Lithuania Tribune about her career and Olympic sports in Lithuania. You have participated in four Olympic Games, a lot of European and world championships; how would you summarize your career? There are very few leaders in shooting sport, who can enjoy a number achievements in a row. I think my career was successful. I spent 34 years in shooting, 24 of those in the international arena and acquired a lot of high prizes. What does it mean to be an Olympic champion? It changed my life and there are two sides of being an Olympic champion: from one side, more opportunities appeared, from the other - I had to deal with more responsibilities and more publicity. The major difference between sport and entertainment industry is that first you have to achieve something and then you become famous. When young people say they want to be famous, they do not really understand what it means. Athletes are not trying to be famous, they want to achieve results and when they do, they have to face the burden of being popular. Sidney 2000 was one of the highlights in your career, what was it like to stand on the Olympic podium and hear the Lithuanian national anthem? Every single athlete has this dream. It is difficult to describe the feeling. You probably realized how many people are crying during this moment. I think it is similar to what a climber feels when he reaches the top of the highest mountain. In 2004 Olympics, you took only the 14th place. What happened there? I was one of the favourites and felt the pressure. I don’t think it was a failure, I think it was a very good lesson. Describe to the readers the pressure that you had during the last shootings when you knew that you are close to getting an Olympic medal. The pressure was enormous. I tried not to look at the results, but I knew it was a crucial shot. I remembered what my friend, the champion of 1988 games, said - his legs felt so weak that he thought he would fall down. I thought that my legs were OK, but my heart was beating so fast! We never know which way the target will fly. I found out the direction only after watching a video of my shooting. When you won gold, how long it took for you to realize that you were now an Olympic champion who also claimed an Olympic record? I did not sleep the first night. It was something called “athletic hangover”, when you lie down with your eyes open and understand that you don’t have to do anything after so much hard work and emotions. You don’t have to do anything after all you have been through. I became ill with severe tonsillitis, I think it happened because of the stress. When I got back, I received a lot of attention from the public, took part in a lot of events - it was not easy. How did Lithuania receive you when you came back home after the games? There was a welcoming event, people were very happy when we came back with Virgilijus Alekna and brought two golden medals. I was chosen to be the Woman of the Year by the “Stilius” magazine. How does this gold medal and sports in general help you today in your position as the head of the Lithuanian Olympic Committee? The medal is my major achievement. Olympic champions never become ex-champions, they are champions forever. A lot of leaders in Committees are former athletes and people from sports respect it and never forget to mention the title. People with certain qualities can become leaders of sports organizations, but if you want to become a champion - the qualities are not enough, you need to work really hard. You took part also in London 2012, which was very successful to Lithuanian athletes who brought home five medals. How would you, as a member of this team, summarize the games? These games were very successful for our small country. I think we performed well in most games, considering how small we are in terms of population, however, we always aim for the best. What are the plans and the predictions for Lithuania in Rio 2016? It would be great to have more medals, but in sports, it is too difficult to predict anything. Who will be the new face of the Lithuanian team and who is the favourite to come back with a medal? It is not good to name any athlete as a favourite, because it creates huge pressure. That is why I will not mention any names, even though it is quite clear who has good chances to come back with a medal. While the summer team got great results, the winter Olympic squad did not manage to win a single medal. Why, in your opinion, is it so? We hear quite often that our neighbours are better at winter sports, while we achieve more in summer games. Our climate is not very favourable, but we have very talented kids in short figure skating and a very talented short track speed skater, so I hope the best is yet to come. Interviewing Lithuanian winter sports athletes, I got the impression that Lithuania doesn’t have adequate facilities and conditions for winter athletes. How can you comment to that? It is not as bad as it may seem, because most athletes train abroad anyway. Our committee is not responsible for the venues, we help athletes prepare for the games and the government is in charge of sport facilities. The budget for winter sports is lower than summer sports funding. Why doesn't Lithuania invest into developing winter sports? Why do Lithuanian kids prefer to play football and basketball rather than do cross-country or alpine skiing? It is not true - our support for winter sports is not lower than support for summer sports. I think kids choose basketball because they can play it all year round, whereas you can go skiing only for a few weeks or so. Besides, we have so many basketball stars who inspire them, so it is natural that kids want to follow their favourite athletes. 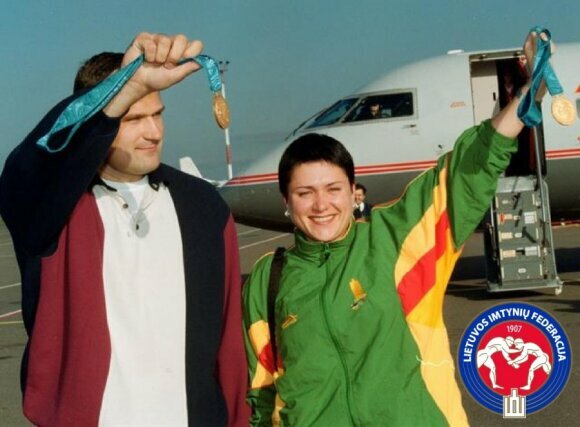 In your opinion, when will Lithuania be able to present a winter Olympic medallist? I believe that it may happen in the next winter games. How did you take it when Alekna was chosen to hold the flag in the Olympic opening ceremony? Out of five Olympic games, I took part only in one ceremony. My competition was always close to the opening ceremony day, so my priority was always to prepare for best results, rather than take part in the openings. 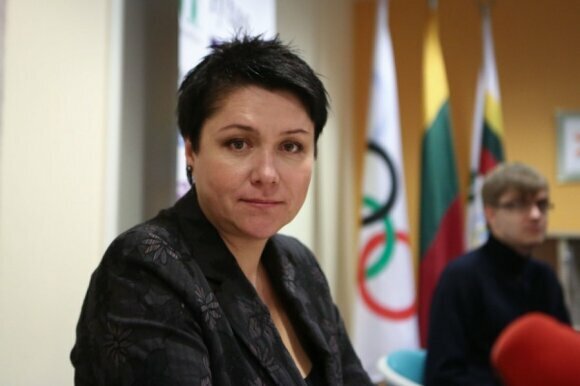 How was it to run against Alekna for the position of the head of the Lithuanian Olympic Committee? I respected him as my competitor, but it was not just a competition between us, it was a competition between our teams. My team was stronger and the assembly made its choice. How important is it for you to be at the head of this organization? My whole life is dedicated to sports and I am very happy that our employees are very passionate about their job. Working at the Olympic Committee is not just a job, it is something you do with passion, and you are driven by the idea. Is it possible that we will see you in Rio? For sure, but just as a leader of the delegation, not as an athlete. What was the greatest moment in your career? What can you advise to young athletes who will compete for the first time in the Olympics? Work hard for your goals, but enjoy the process and you will be able reach the desired results and live your dream. In the end, say something to our readers and your fans that no one knows about you. My new hobby is skiing. I could not go for any extreme sports while I was competing, because I had to avoid traumas. I tried skiing last year and enjoyed it so much! Well, maybe we won’t see Gudzinevičiūtė as an athlete any more, but her experience, the knowledge and the passion for the sport will bring only good things to the Lithuanian sport. She is a legend and her legacy will remain for ever. 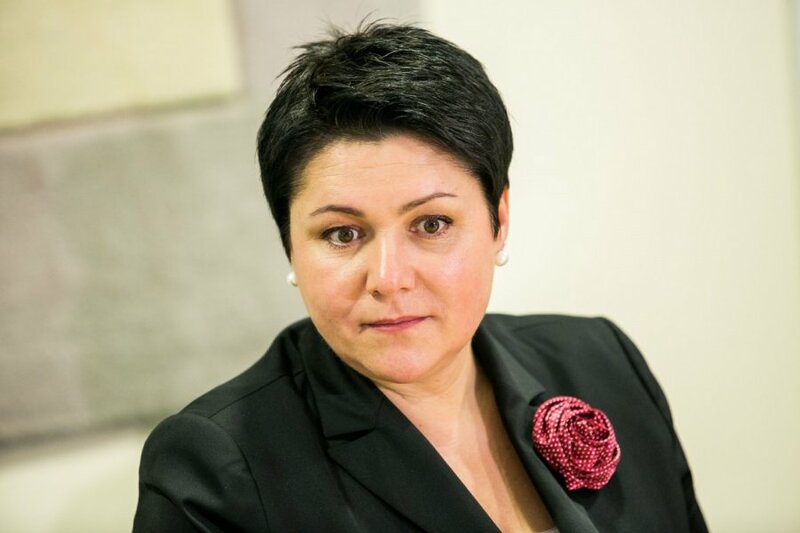 Now she is going to help the next generation to put their names in history of Lithuanian sports.